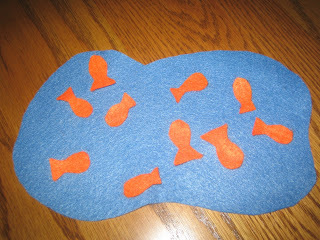 There are many uses and ideas out there for felt play. Teaching Tinytots at Mommy School has an adorable felt play game about a teeny tiny mouse who lives in a house (check out her site for other wonderful ideas). It's one I will have to add to my kids growing felt play collection! Today we played with orange felt pumpkins. 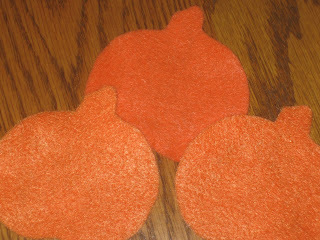 I used a pumpkin cookie cutter shape to trace the shape onto the felt. I cut out ten pumpkins so there would be enough to go around between my two kidlets. 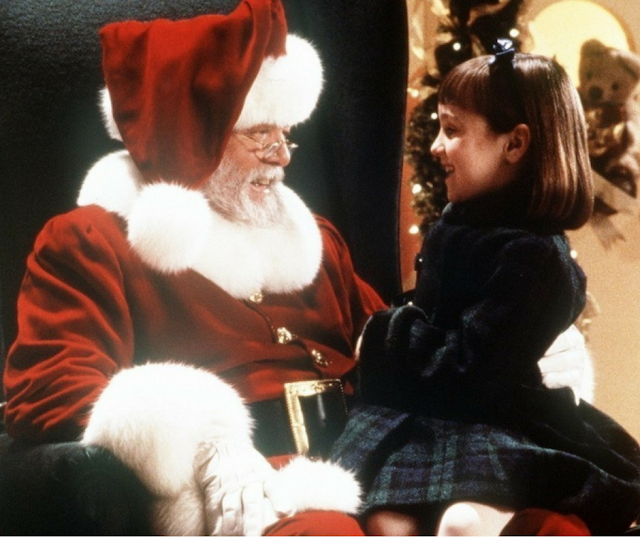 My daughter had the most fun. She cut (she's learning how) out pieces of felt to use as eyes, nose and mouth on the pumpkins and then we hid them and played "Go Find the Pumpkins" (her name for it). 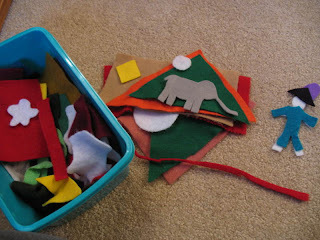 Felt play is one of those ageless, timeless activities, dare I say "fun-tivity" that is so delightfully simple. Why was I ever worried about not knowing how to do this? 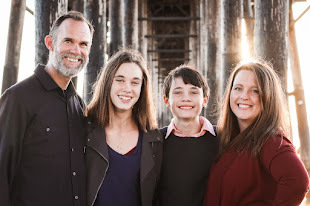 Sure my puny goldfish aren't the best looking on the block, but my kidlets don't care- and they are what matters. *check out The Artful Parent for her adorable felt storyboards, a smaller version that is great for car rides and going to grandma's house. great job love your pond! my youngest and my 1 yr old nephew are getting feltboard stories for part of their chrismtas! Thanks for all the great ideas! I think my girls might get a felt board for Christmas. They would love felt pieces to go along with all of their books.